Tomorrow night (Sat., June 3, 2017) the UFC will get their jam-packed summer schedule rolling with UFC 212 from the Jeunesse Arena in Rio de Janeiro, Brazil. The card features the long-awaited featherweight title unification bout between champion Jose Aldo and surging interim champion Max Holloway. 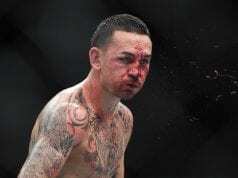 Aldo was last seen winning the interim 145-pound belt, which eventually became the official 145-pound he held since 2011, when Conor McGregor was stripped of the title after not defending it for a year after winning it by knocking out “Junior” in the main event of 2015’s UFC 194. He’ll be faced with an under-the-radar challenge in “Blessed” (who should be anything but), who’s won an incredible 10 straight bouts over some of the best featherweights the sport has ever seen. In the co-main event, top-ranked women’s strawweight Claudia Gadelha will look to battle her way back to a 115-pound title shot against No. 2 Karolina Kowalkiewicz. Both have recently lost to dominant champion Joanna Jedrzejczyk, but with the champ having almost cleaned out the division aside from expected next contender Rose Namajunas, the winner of this pivotal match-up will find themselves dangerously close to yet another title shot. 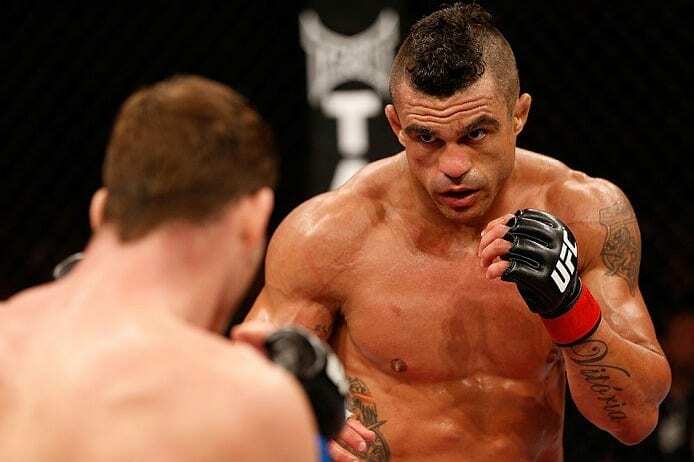 Legendary knockout artist and controversial Brazilian MMA pioneer Vitor Belfort will also make his final walk to the octagon when he meets fellow longtime veteran Nate Marquardt in what should be an emotional, hard-hitting affair. Rounding out the main card, Paulo Barrochinha will meet Oluwale Bamgbose at middleweight while Erick Silva will get the main card rolling against Yancy Medeiros. Find out whom we picked to win at UFC 212 below. 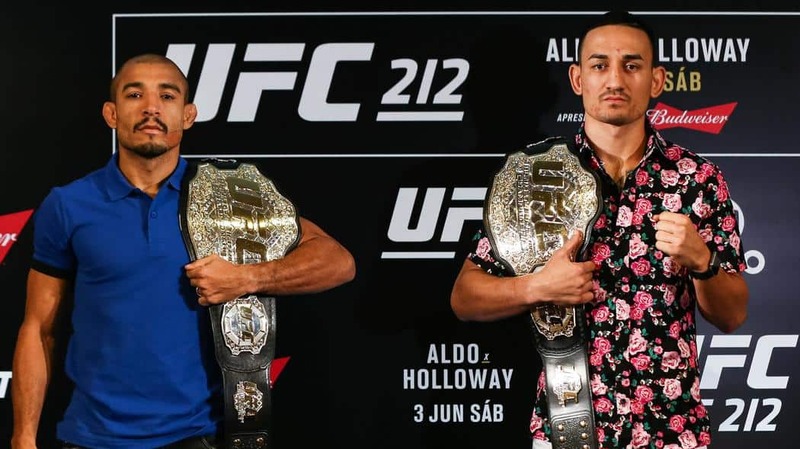 This is one of the more interesting featherweight title bouts we’ve had outside of McGregor vs. Aldo, and a lot of that has to do with how dominant Holloway has looked running through many of the best 145-athletes in the world during his unprecedented win streak. 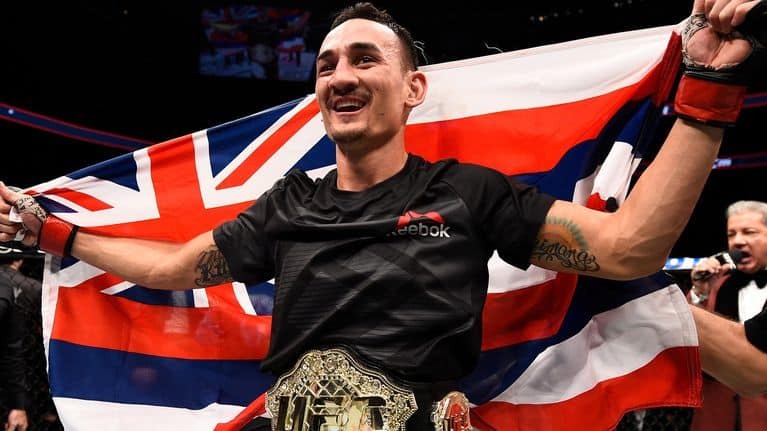 The Hawaiian “Blessed” has clearly hit his prime as a mixed martial artist after losing to McGregor as a green prospect, an now he’s finally gotten his chance against the best featherweight of all-time, in his native fight-crazed home of Rio. The champ has looked excellent against the stout wrestling-type fighters he’s made his money against, evident in his two wins apiece over Frankie Edgar and Chad Mendes. Holloway presents an entirely different challenge altogether, as he’s a lanky striker who likes to push the pace with both accurate and powerful punches in volume. Aldo will always have his vaunted leg kicks and hand speed here, and a win over the young upstart would further cement his already decorated legacy. But I just think that now is Holloway’s time, and he’s ready to come in and throw down with Aldo for a full five rounds by using his length and reach to come out on top. This match-up of the two top women’s strawweight fighters in the UFC other than Joanna Jedrzejczyk should be a closely-contested co-main event at UFC 212, and Gadelha should be motivated by the support of her home fans. It’s hard to predict if she’ll look to implement a grappling-centered gameplan to neutralize the world-class Muay Thai skills of Kowalkiewicz, because she did tire a bit after resorting to takedown attempts in her failed title rematch against “Joanna Champion” last July. 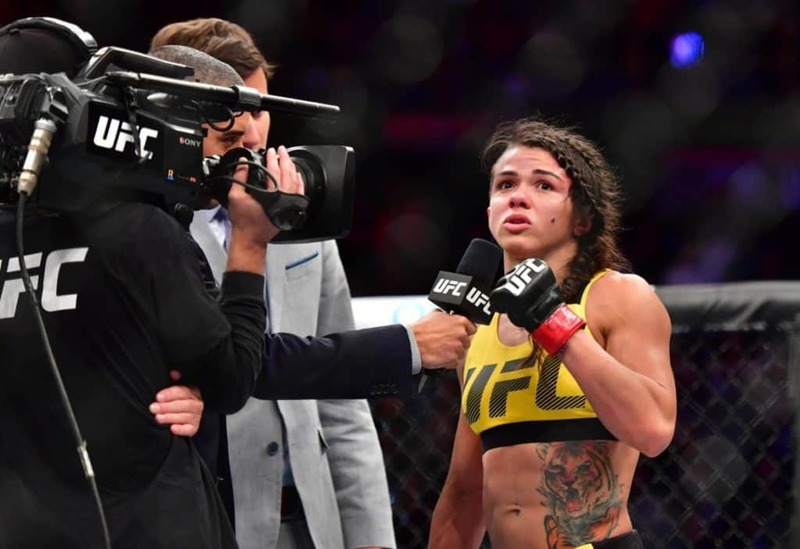 Gadelha appeared to be holding her own in the striking department against one of the best in the game until she gassed, meaning we could see an entertaining battle of talented 115-pound women. I still think Gadelha should look to use her grappling and jiu-jitsu edge, however, as meeting the Polish whirlwind in the center of the octagon to throw down in a technical striking contest just isn’t the best gameplan here. Gadelha will have a decided size and strength advantage, and the fight should turn in her favor if she can hold Kowalkiewicz on the mat for any extended period of time – especially in the early rounds. Kowalkiewicz will most likely have her moments on the feet as well, but Gadelha’s toughness should see her edge a gritty victory. Belfort’s final fight – maybe – is a solid match-up for him here, as he’s finally facing another fading power striker/submission artist in longtime veteran Marquardt. Both may have a little knockout power left in their hands and feet, as that’s usually the last thing to go on fading fighters. If this is indeed “The Phenom’s” last fight (he’s hinted at fighting for Bellator more than once recently), then I expect him to come out guns blazing with nothing to lose. 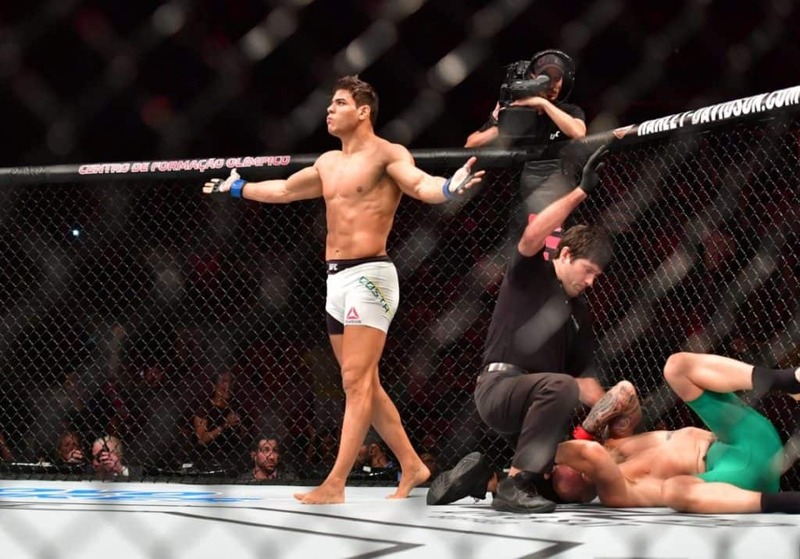 His career has been both decorated and controversial, but why not, I saw he gets one last knockout for the Brazilian faithful in his last UFC bout. Borrachinha appears to be a vastly promising 9-0 Brazilian prospect after winning his UFC debut by stoppage in March. He brings an exciting mixture of speed, strength, youth, and athleticism, and Bamgbose is a perfect all-out striker to test his abilities against. He’s lost two out of his last three in the UFC and will need to throw caution to the wind to keep his job. He isn’t likely to attempt to ground Borrachinha to do it, meaning this fight could have “Fight of the Night” written all over it. I think Borrachinha is the more polished and measured striker, so I think he’ll score an impressive early KO. Silva has no doubt faded after surging into the UFC as one of the hottest welterweights up-and-comers roughly five years ago, but I still think he’ll have the size advantage over lightweight Medeiros in the second Brazilian vs. Hawaiian main card bout at UFC 212. 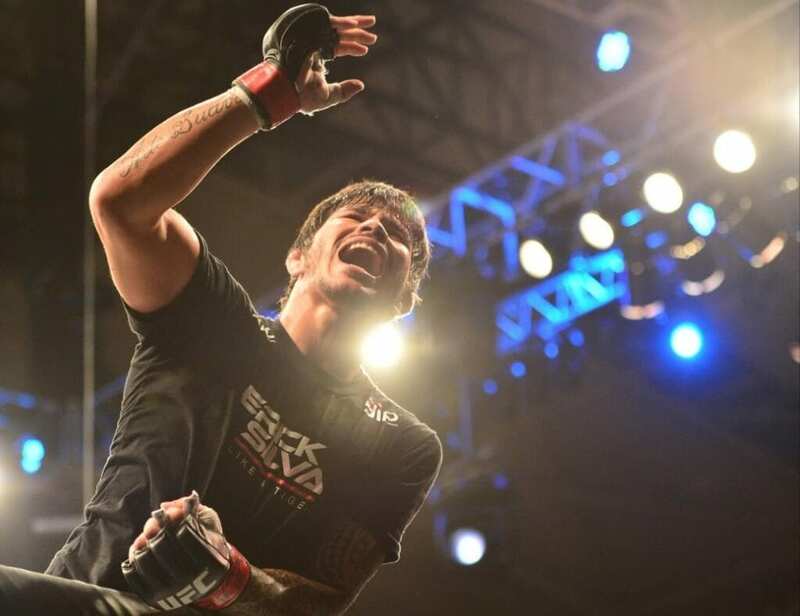 Silva holds a noted edge in the jiu-jitsu department, and will also have the full support of the crowd. Medeiros is tough and can throw down with the best of them, but I think Silva takes this one home for his Brazilian fans.